Just when we were getting ready for spring here in Maryland, we are facing winter storm Saturn — aka “Snowquester” — here in the Maryland-DC region. Which brings me to today’s forecast for CPAs in 2013: Cloudy with a chance of bright sunshine. 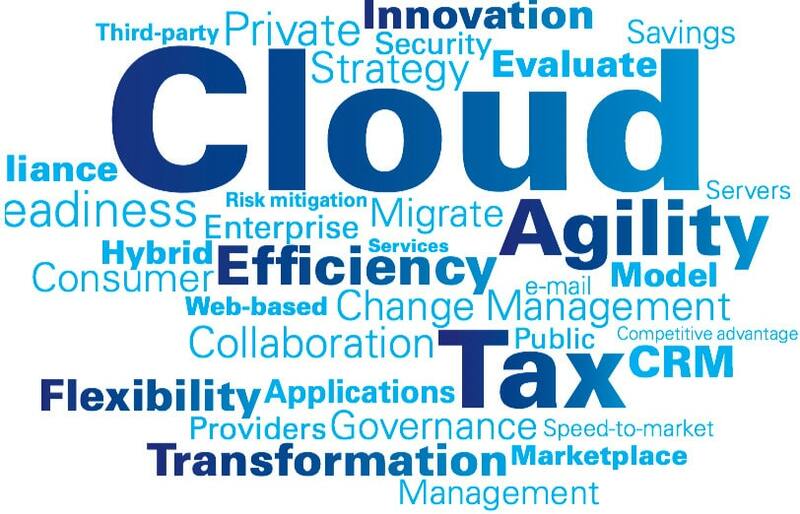 Cloudy as in uncertainty in the economy, and cloud-y as in SaaS and technology for business. First, the economy. Record stock market levels, continued high unemployment, health care law implementation, U.S. government debt crisis, sequester cuts, and the continued European economic crisis make for a swirling vortex of factors that make the business climate more uncertain than ever. Yet there are bright spots for those who are looking and capable of acting. A just-released report from Deloitte found that many mid-market companies are cutting through the fog of uncertainty by summoning their inner entrepreneur. “Our survey found that executives who see their companies as having become more entrepreneurial are more likely to perform well across a range of measures, from revenues to profits to hiring plans,” said Tom McGee of Deloitte’s Growth Enterprise Services. Which brings me to Part 2 of my forecast — cloud-y with a chance of bright sunshine. Cloud-y as in The Cloud, which many CPAs feel “cloudy” or foggy about. Yet there is a growing body of evidence that shows cloud technologies go hand in glove with innovation. The cloud is enabling new strategies and opening up new markets for companies that are able to adopt an entrepreneurial or innovative mindset. The proliferation of new technologies and apps are leveling the playing field for small businesses (and small practices) and allowing them to offer services they never could before. Four significant reports have shown up in my scans recently that I want to share with you. IBM’s Cloud Computing For MidSize Businesses, Delivering Innoavtion and Effiiency talks about the advantages to mid-market companies and organizations of cloud technologies. A whitepaper from CPA2Biz by Geoffrey Moore titled, Accounting Services: Harness the Power of the Cloud: Moore lays out an esay to follow strategy for CPAs doing CAS (Client Accounting Services) to move up the inoformation value chain to the higher-value consultative CFO advisory services that many SMBs desperately need and want from their CPAs. The second Digital CPA Conference is scheduled for Nov 20-22, 2013 at the Gaylord National Harbor, Md. If innovation and entrepeneurial thinking are the ways to find the bright sunshine, then we have to learn more about and understand this “cloud” to see if there are new possibilities that can help us innovate. Want to learn more? Our upcoming Innovation Summit on May 17 (register here) will bring together the thought leaders in the accounting cloud technology area and lots of other accounting innovators (yes, even in the standards area) to work on how we can continue to innovate through the cloud of business uncertainty and find the bright sunshine together. You’ll find sponsor information here. Our 2013 forecast: Cloudy with a high chance of bright sunshine!